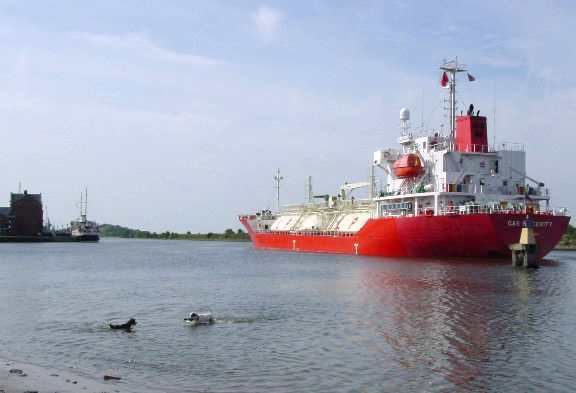 The BALMORAL made it to Mostyn on 28 May 2002! Car parking was arranged near the port office building and a minibus used to take people to the berth. (Minibus driver got lost between the two on the first run). 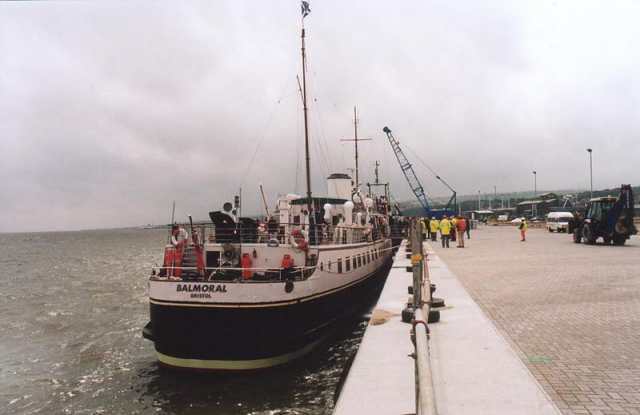 Only problem for BALMORAL was getting a gangway ashore as there was a scaffolding railing the full length of the berth. 10 minute wait for man to find spanner! BALMORAL was not looking her best - for which there were apologies. Bad weather had interrupted the painting programme. There were other signs inside too that much more work needed to be done to get her into her usual ship-shape condition. Interesting run out from Mostyn - the pilot elected to stay on board to Llandudno and as the tide was high he and Captain Steve Mishel gave us a close run along the coast once we had passed the Rhyl buoy. The incoming EUROPEAN AMBASSADOR was seen some distance to the north. 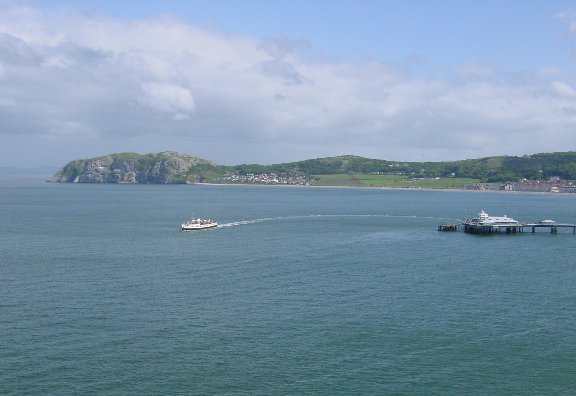 We closed the Little Orme and then went past Llandudno before turning back to berth starboard side to on the Pier. At Llandudno we picked up the Menai Straits pilot and set off for Menai Bridge. 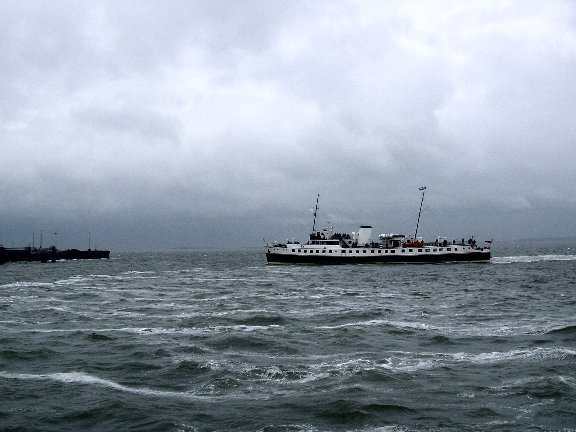 We went west of Puffin Island and then through the sound to pass Beaumaris and then Bangor Pier before berthing at Menai Bridge to collect more passengers. As we left this pier we turned as if heading back for the open sea to get way on before turning back to go under the bridges. Once we had passed under both bridges we turned rapidly back and retraced our course back to Llandudno - where this time she berthed port side to the pier. It was now almost low water so we had to come off the bridge deck onto the lower level of the berthing head. A good day enjoyed by all with the dry and sometimes sunny weather much better than the forecast rain. 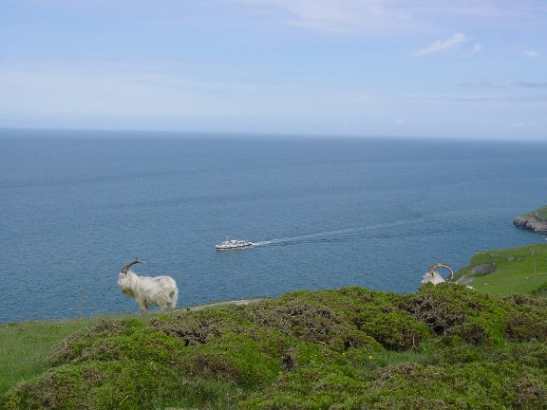 Tomorrow she is scheduled to go round Bardsey Island but the forecast does not bode well.